The third quarter of the financial year 2013 has generally been very weak. The common problem has been the demand slowdown and the pressure on margins due to inflation and competition. In most of the cases results have been below expectations. On the positive side, these challenging times are the best times to re-structure your portfolio. One gets to accumulate high quality ideas at low valuations, (often) due to temporary problems. The important thing is to maintain liquidity and discipline. Ajanta Pharma: The company posted stellar results and the stock witnessed a strong activity and appreciation. We discussed about the company here. The company has posted a 37% growth in the topline from 164 Cr to 225 Cr and 75% growth in the net profits from 18.50 Cr to 32.57 Cr. The results are remarkable as the growth in profits has persisted despite higher taxation. Usually 4th quarter is the best quarter for the company, hence the company may be able to repeat similar performance in Q4FY13 too. We feel investors can continue to hold and try to buy on sharp declines, if any. Poly Medicure: Finally the forex problems seem to be coming to an end and the real operational brilliance has started showing up. The key thing to look here is the major improvement in operating margins over the years (one would need to remove the forex losses). 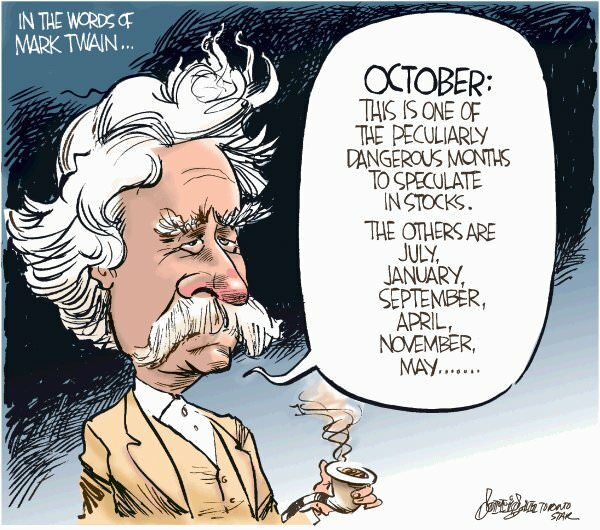 Such company’s can give steady compounding over a longer period. MPS Ltd: The company has surprised everyone once again by declaring very good set of results and declaring another interim dividend of Rs 5 per share. The total dividend declared for FY13 till now is Rs 10 with still a scope for the final dividend. At CMP of 128, it is still offering a very good dividend yield with possibilities of further positive surprises. Astral Poly: The company has decent results. Though they may look below expectations but we think the profitability is lower due to higher advertising costs. Advertising initiatives should help the company grow further over a longer period. Others: Lumax Auto has also posted decent results in comparison to its peers despite a slowdown in the auto-sector. Caplin Point has posted steady results and the half-yearly balance sheet looks pretty strong with the increasing advance from customers resulting onto cash on balance sheet. If one takes a 2-3 year view, the company may do well. Avanti Feeds results seem decent and the stock seems undervalued at current levels. GRP Ltd: The company has come out with a poor set of results. The top-line has not grown (in-fact has declined from the September quarter) and the net profits have fallen sharply. The bad performance seems to be due to the weak demand in the tyre industry from Europe and problems due to the high energy cost. Looking at the weak global economies, this may continue for a couple of quarters. The key monitor-able should be the demand in the tyre industry. As and when it improves the company should be able to come out of its problems. Oriental Carbon: The company has reported results below the general expectation and the problem is again due to the very slow demand in the tyre industry in Europe. Company’s new plant has not got the approvals and new capacity remains unutilized. Once the demand comes back, the company should be able to do well. Smruthi Organics: The topline has been almost flat but profitability has fallen off. It seems the expected expansion hasn’t started. Once it starts, the company may start doing well. We believe that the bad is still not as bad as it appears. The company’s have done well in past and were bought at a good value and thus provided some margin of safety. Also, this is the reason why we prefer to have a bit diversified portfolio in the mid/small cap space. Here is a snapshot of key valuation parameters of the above companies vs the broader markets. The markets had recently crossed the 20,000 mark and we are looking forward to an investor friendly budget. Had a quick look…haven’t been able understand the story properly but will keep the stock on mind. What is your current openion on BKT……whether the demand scenario gives opportunity for a long term investor to accumulate or wait for a turnaround…. We feel there is a lot of uncertainty on the demand in the tyre industry and hence one should wait for things to stabilize. BKT is having a gross debt of close to 2000 Cr and if things don’t improve, the co can suffer. As we don’t track the co or the industry, we won’t be able to share a view. However, looking at the low margin, we should suggest not to look at the Market cap to sales ratio. I feel the management is under reporting its earnings.. In march 2012 annual report there is export incentive receivables of: 25.46Cr this is included in the “Other Current Assets” no mention in the profit and Loss Account. I also asked in the AGM about the rising interest payouts even as Sales were rising.. promoters said its not a cause of worry as its short term in nature and that’s how business is done.. I feel the rising interest expense is to get 2% interest rate export incentive. The question is:- How do we determine the real value? In 2009 the promoters have been buying almost 100 days in a year.. Now there are 52 weeks in a year.. and this translates to almost twice a week of creeping acquisitions by the promoters..
How do we unlock this value?.. I am invested since 2007-8 and even with 500% increase in profit the stock refuses to budge..
Its good to see that you have done so much work and are tracking the co actively. At times, value unlocking does take time and hence if you are convinced then just continue. Due to these problems, we suggest having a bit diversified portfolio of 15-20 stocks wherein, the exposure to one stock is not more than 10% of portfolio. There is also an exceptional item of close to 4 Cr due to retrospective application of higher power costs and some forex loss, which has hit the net profits. If one looks at operational level, the stock looks cheap to us. Thanks ayush… Also mps has fallen today arnd 9 perc. Good for picking? The stock has gone ex-dividend of Rs 5 today and hence the fall is partly due to that. Yes, the co looks good to us but plz do your own homework. I have been following your site for a long time and been a silent reader. Why are there contingent liabilities to the tune of 48cr (when i look into the consolidated BS)? It is considerablly a big amount of money. The annual report is silent on this fact. And Shouldn’t the decision whether to invest or not be based on this fact? Can you throw some light on it? Otherwise sales, profitability ratios,consistency, absence of debt, availability at a cheap price are a good thing on its books. I looked up the balance sheet but couldn’t find contingent liability to the tune of 48 Cr. Above figure is not concerning. Please share the link where higher liability is being shown. P.s. I have double checked the above figure from the sbicapsec website. As contingent liability is not shown on the face of balance sheet, often data providers pick up the wrong data. Usually data providers to these websites is common. Would always recommend to cross check with the annual report. ok, fine, it might just be a distorted figure at the end of data provider. Anyways, Thanks for entertaining my query. Hi Ayush can you please have a look at an ultra small cap company called medi-caps? valuations seem interesting plus company is about to give bonus too. Let me know your views. I don’t track this co but it does look undervalued on the face of nos. However, the important thing in small caps is growth prospects. Please share if there is any clarity on the same. Can you please take a look at the company called La Opala RG Ltd. I have been tracking it for some time now and just a week or two back it corrected to 250 levels but I did not have the courage to buy it on this dip. now its been shooting upwards of 400 level in last one week alone. It does look good in screener but still needs to be check by expert like yourself. We had invested at very low levels but got out early. Don’t track now. It has done very well and lot of wealth creation has happened here. Thanks for your quick reply.. it seems that this company is just picking up the growth pace. the sales are going up steadily, margins are improving, debt is going down and reserve is improving. do you think that this company should do very well from now on and hence the stock price? Yes, the co is doing well but the stock price has already appreciated very quickly and hence we feel one should be careful. However, if you are convinced and have done your homework, then please do act on your thought. It will help you in developing framework. Do you track KDDL and GEI engg. They have fallen quite a bit in the last quarter or so. Do you find any value in them.